This groundbreaking book contains the first English language translations of three plays by Polish playwright, actress and journalist Gabriela Zapolska. They were initially performed in fin-de-siecle, partitioned Poland. Each play focuses on the economic and social pressures faced by women. A general introduction and three focused essays will serve to contextualise the translations. 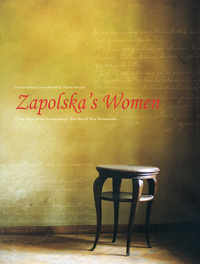 The essays provide the following: biographical information about Zapolska relevant to the plays’ subject matter, analyses of her significance within Polish and European literary and theatrical traditions and discussion of the social and historical conditions from which the plays emerged. Murjas considers the plays’ performance history and delves into the significance of the plays in their new ‘linguistic context’.